Notice that the title bar shows Untitled-1.tex. That means that the file hasn't been given a name. The asterisk * following it means that the file hasn't been saved. So use "Save As..." to both give the file a name and save it. 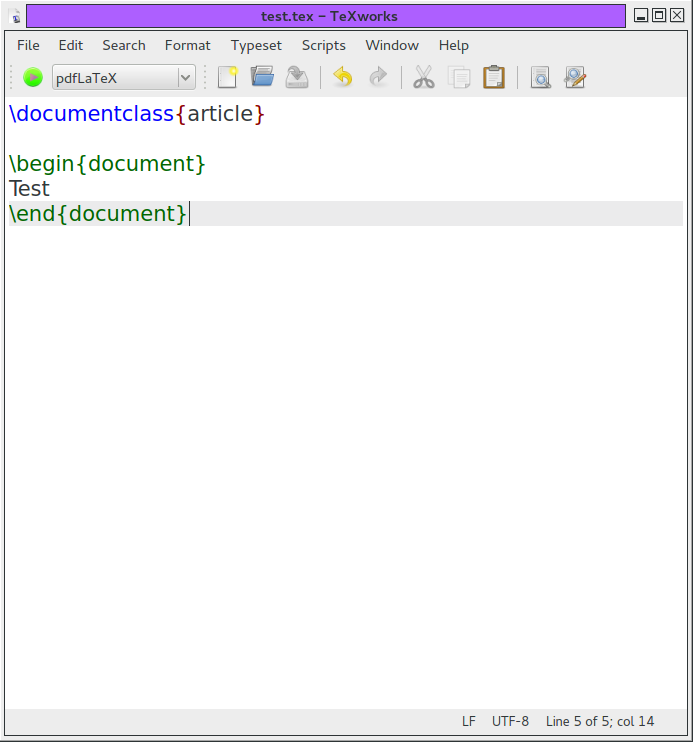 The title bar now shows the new file name and the * has gone, so now you can compile the document. After the file name has been explicitly set, the file will automatically be saved when you try to compile it. Not the answer you're looking for? Browse other questions tagged xetex texworks or ask your own question. How do I install and use nlatexdb? (or latexdb, ratexdb)?